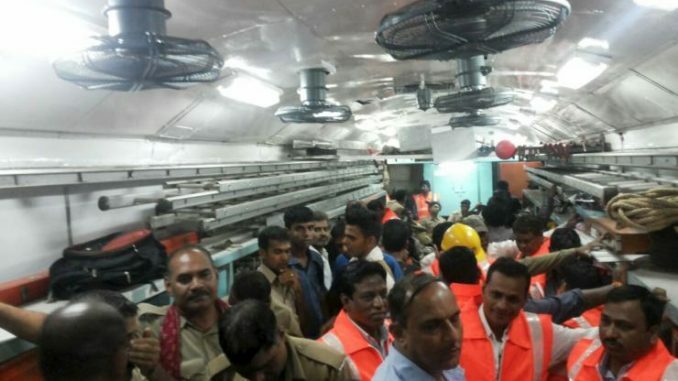 Two trains in India have derailed and have killed 12, possibly more. The rails were damaged during heavy rains in the area, which led to both of the trains crashing, according to IBNLive.com. 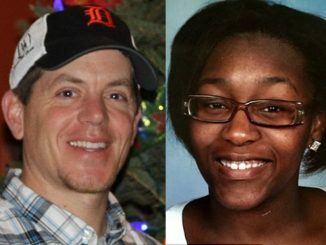 The trains derailed within minutes of one another, and search crews are still looking for survivors. The searchers were hindered by bad weather and darkness as they began their search for people from the derailed trains who might be grasping onto trees or bushes for dear life. 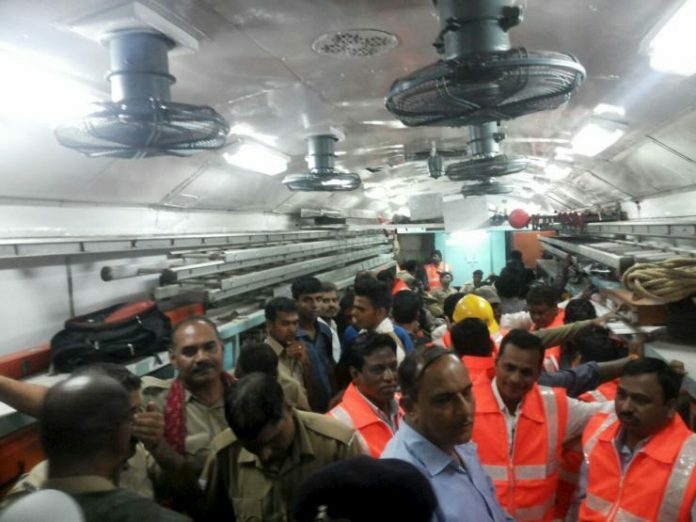 A live blog from the Times of India reported Wednesday morning that the derailment may have been caused by a flash flood that swept against the train, flooding the insides up to the chests of some passengers. By Wednesday morning, more than 300 passengers were saved from the strong currents that threatened the trains.